This is not an easy thing to explain, it is a case of practice makes perfect, but I will have a go. 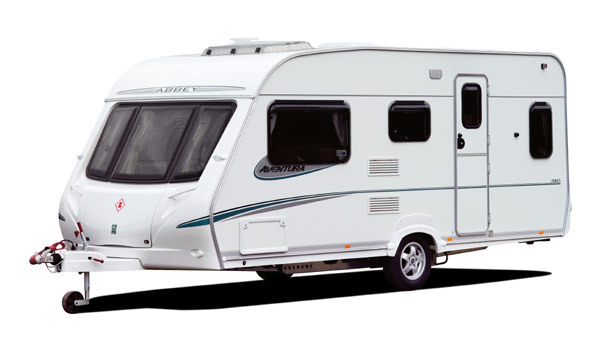 An important thing to remember when reversing a caravan, is that it takes around two seconds for a movement in the steering wheel to transfer to an action in the caravan. Most new reverser's will "chase" the tow by going from left hand oversteer to right hand oversteer, and make hard work of it. Below is the "normal" position people will try to reverse from. This position will need a 90 degree reverse for the caravan to end up in the correct position. This is quite hard to maintain effectively and an oversteer is common, resulting in the above situation. It also restricts the drivers view of the caravan's destination point . If the position bellow can be achieved, most of the hard work has been done, the red lines show this quite well, the straighter the line, the less movement needed. There is a far better view down the near side of the caravan, allowing the final destination of the caravan to be seen, marked, and with practice, hit. The steering wheel will be near the correct position for reversing and will need minimal movement, avoiding the left to right oversteer issue. The key to achieving this position is in the approach. The tow vehicle should follow the line in the diagram below, this will set the caravan into the ideal position for reversing. Remember, don't turn the steering wheel as far as you think you need to. Turn the steering wheel in the opposite direction to the desired caravan direction.